This gorgeous bright neon beach bag has double handles that fit over the shoulder. 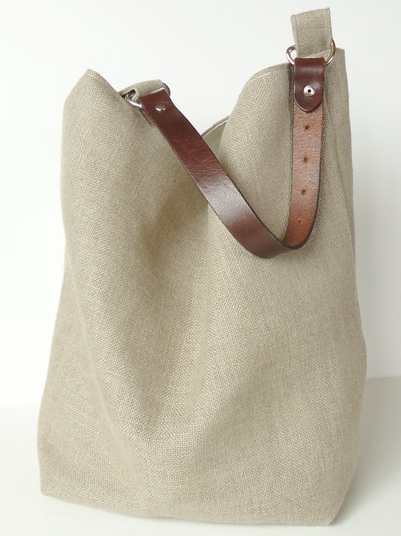 It's made from natural thick canvas in oatmeal with a choice of neon base - bright orange or yellow/green. The interior lining is black. What this Heidi Klein bag lacks in bright summer hues it makes up in chic, casual beach style. Made in Madagascar from raffia it's got a leather tassel charm and a good sized internal pocket. It can also be worn cross body. 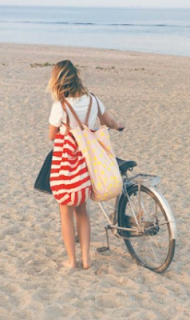 I love these beach bags I found on Plumo. They have long handles to fit over the shoulder but are very deep and spacious so will easily fit a rolled up beach towel. They have an zipped pocket on the inside which is particularly handing for keeping valuables safe and out of sands way. Speaking of which, not sure it's really practical to wheel your bike over the sand! Another gorgeous neutral toned bag made from linen burlap. I found this in an Etsy store and as it's made to order you can request the colour of the leather handle (tan, black, dark brown or light brown). 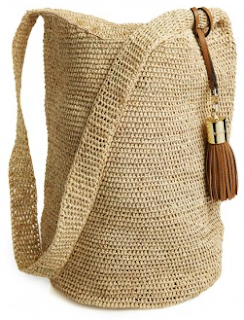 I'm loving these straw bags that would be as great for the beach as they would be to take to the market. 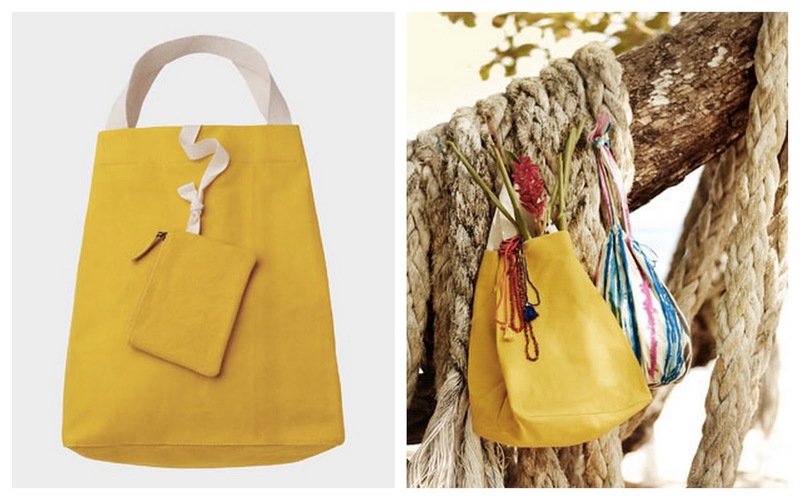 They are handmade in Spain with natural vegetable fibres and long leather straps. 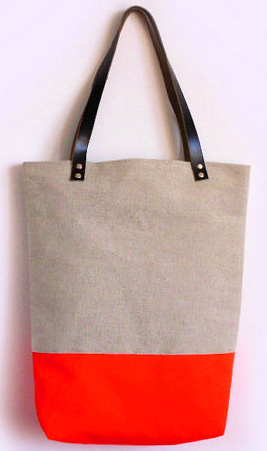 Another great Etsy find, you can even order the bag with a zip. This is a simple but great looking beach bag with two straps that are long enough to go over the shoulder. 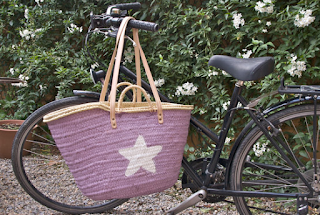 Made from 100% cotton it's a good size (H46cm x W39 x D28cm) and comes in three great summer colours - lemon (shown below), raspberry and sea green.